Roofing Sebastopol homes can be both artful and practical. Sutter Roofing and Sheet Metal is a roofing contractor in Sebastopol, and our customers often testify that we are the best full service roofing company in Sebastopol. What kind of roofing do you need for your Sebastopol home? Do you prefer tile, composition shingles, or hot tar and gravel? Sutter Roofing is a roofing contractor in Sebastopol that handles roofing, gutters, leaf protection systems, gutter repairs, roof maintenance contracts, inspections, skylights, solar tubes, attic insulation, attic vents, and solar attic fans. We are a fully licensed roofing company and sheet metal contractor with our own full in-house sheet metal shop, where we custom fabricate the materials needed for any job. 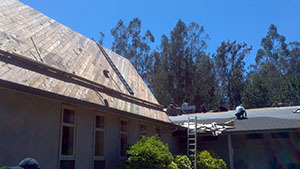 Our roofing company is available in the following Sonoma County cities: Santa Rosa, Petaluma, Rohnert Park and Windsor. If you need a roofing company in Sebastopol, or require a roofing contractor in Sebastopol known for skilled roofing work, contact Sutter Roofing right away at 707-829-5050 or online. You’ll be glad you did! We are your one-stop leading roofing company in Sebastopol, located at 8140 Ragle Place, Sebastapol, CA 95472.